July 4 2018, 2:00 p.m.
Cuba was the intended target of many such terror plots. Long before Donald Rumsfeld homed in on the country to imprison “enemy combatants” in the aftermath of 9/11, then-Attorney General Robert F. Kennedy sought to visit “the terrors of the earth” on Cuba as part of Operation Mongoose, a covert CIA effort to overthrow leader Fidel Castro. Mongoose envisioned acts of sabotage, including U.S.-created food shortages, potentially induced via biological weapons. And another 1960s plot, Operation Northwoods, sought to create a pretext for invading Cuba. “We could develop a Communist Cuban terror campaign in the Miami area,” read a document presented to the Joint Chiefs of Staff. “We could blow up a U.S. warship in Guantanamo Bay and blame Cuba.” The U.S. famously concocted a number of contemporaneous plans to assassinate Castro; at least one involved enlisting the Mafia. These plots proved to be a less-than-subtle ideological precedent for George W. Bush’s 2003 jest to Iraq administrator Jay Garner that, following Garner’s efforts to rebuild that country, the U.S. would, “for the next one,” invade Cuba, which ranked among the Bush administration’s “axis of evil” countries. 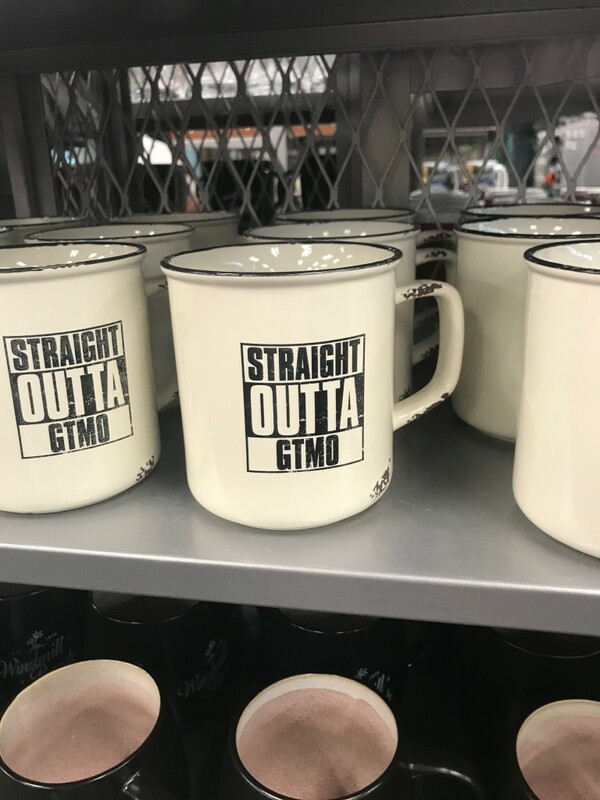 Today, GTMO, as the base is called in military parlance, boasts a gift shop at its Navy Exchange, a stone’s throw from the Guantánamo McDonald’s. There, for $15, you can buy a Joint Task Force GTMO detainment operations T-shirt, embossed with a graphic of an armed prison guard tower and finished with barbed wire filigree. The memento is a troubling reminder of the normalcy with which U.S. empire has infiltrated our everyday, an iteration of what revisionist historian William Appleman Williams called “a way of life.” Indeed, U.S. malignancy in Cuba, from the Cold War to the so-called war on terror, is only part of the aggression that stemmed from the taking of Guantánamo. This June marks an important birthday for the Navy base, and for American overseas empire, too. Indeed, their origin story is one and the same. In early June 1898, U.S. Marines arrived at Guantánamo Bay and staged the first successful landing in what would become known as the Spanish-American War. Aside from avenging the sinking of the battleship USS Maine in Havana harbor, the U.S. sought to “liberate” Cubans from imperial rule. That pretense conveniently ignored Cuba’s preceding 30-year struggle for independence from Spain, an effort born of plantation society in the eastern part of the island, not all too far from Guantánamo. Indeed, 1898 proved the denouement of the Ten Years’ War (1868-1878), the Little War (1879-1880), and the final Cuban War of Independence, which began in 1895. The invasion at Guantánamo marked the formal beginning of an American penchant for intervening militarily in the affairs of other nations. Historians of U.S. empire have long acknowledged 1898 as a watershed in the trajectory of America’s global posturing. The U.S. had always had its eye on the Caribbean and Cuba, just 90 miles off the coast of Florida: Southern-sympathizing filibusters sought to incorporate the island as an additional slave territory from the early-to-mid 1800s, and in 1823, John Quincy Adams predicted what many saw as the inevitable U.S. acquisition of Cuba, arguing that “if an apple severed by the tempest from its native tree cannot choose but fall to the ground, Cuba … can gravitate only towards the North American Union which by the same law of nature cannot cast her off from its bosom.” But the U.S. only got around to invading Cuba after its territorial acquisitions in North America had reached their western and southern limits — a fulfillment of Manifest Destiny and the realization of a settler-colonialist dream that stretched from the Atlantic to the Pacific. Thus, in 1890, the U.S. Census Bureau declared the frontier “closed.” Within a decade, the U.S. attacked the Spanish empire, achieving a swift victory that effectively handed Spain’s remaining colonial possessions to the United States: Puerto Rico and Guam became U.S. territorial holdings, and the United States undertook a brutal and bloody war against Filipino nationalists to annex the Philippines. So began a legacy of quasi-sovereignty in Cuba. Both governments renewed the coercive Guantánamo lease in 1934, and it is under the terms of that lease that the 40 detainees currently held at the base find themselves indefinitely incarcerated on a breathtaking 45 square miles of Cuban territory, the natural beauty of which they will most certainly never see. A short drive from Camps 5 and 6, where “low-value detainees” are held, military personnel and their families enjoy the fruits of effectively stolen territory, land that Castro demanded be returned after his 26th of July Movement came to power in 1959 and sought to undo some 60 years of U.S. imperial machinations on the island. At one point, Castro shut off water to the base, a less-than-subtle suggestion that the United States vacate the premises. The U.S. retaliated: More than 2,000 Cubans employed at the base were summarily dismissed. Despite these antagonisms, the United States Treasury still sends the Cuban government a check of $4,085 annually for “leasing” Guantánamo. To this day, the revolutionary government refuses to cash the checks. Indeed, Guantánamo is at once the oldest military base outside of the United States and the only one maintained against the expressed will of the government of the country it occupies. This rendered the legal status of those at the facility particularly murky, and this same legal ambiguity enabled the indefinite detention of suspected war-on-terror combatants, some of whom have never been charged with a crime. Prior to a handful of Supreme Court cases that have extended limited legal protections to detainees, the Bush administration seized upon Guantánamo’s legal liminality to argue, among other things, that the base was under the sovereignty of the Republic of Cuba, ostensibly negating constitutional protections or obligations to abide by international treaties, and thereby making the base an ideal place to commit human rights abuses. A handful of Supreme Court cases have mitigated some of this legal ambiguity: Rasul v. Bush ruled in 2004 that U.S. federal courts do have jurisdiction over Guantánamo Bay, thereby providing detainees access to the courts as a means of challenging the legality of their detention, though the ruling left unsettled the question of constitutional protections extending to noncitizens held at the base. And in 2008, Boumediene v. Bush established that detainees also have the right to a habeas corpus review. There is a similarity in rhetoric and logic between the Platt Amendment and Guantánamo’s role in the war on terror: the United States’s argument for coercively leasing the territory as a coaling and naval station to “protect Cuban independence” closely echoes the call to torture and illegally detain enemy combatants for the sake of U.S. national security. But these parallels run deeper, insofar as all roads lead back to Cuba, where the United States still somehow manages to do whatever it wants. Guantánamo persists as a place of imperial reinvention and forgetting, an ever-evolving hydra where stationed military personnel can receive their scuba diving certification and take their kids to the movies a short drive away from the black site where the CIA carried out torture at the base. 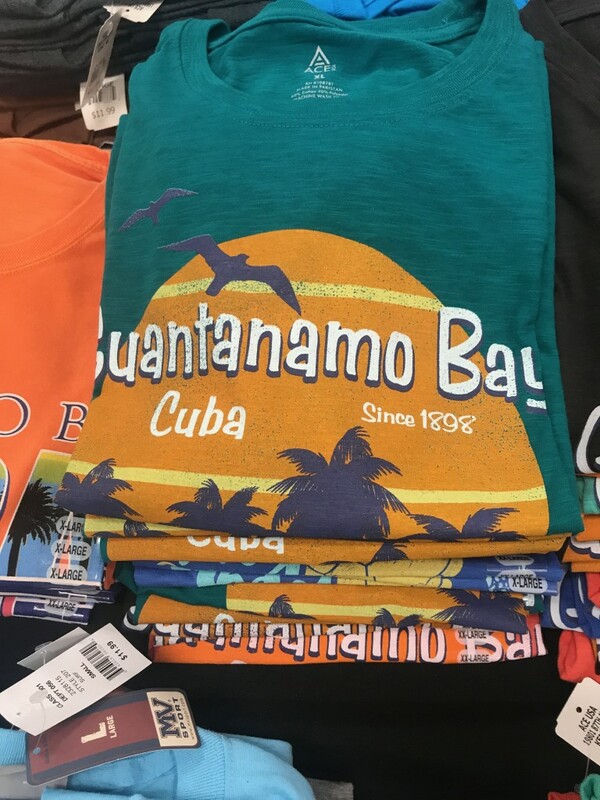 Were it not for the “Cuba” section of the GTMO gift shop, where pictures of Havana adorn keychains, postcards, and magnets, you might forget you were in Cuba at all — indeed, this imperial amnesia, in conjunction with the 120 years of imperial machinations that began at the deep-water bay, may very well make Guantánamo the most American place on Earth. Top photo: Photo of Gitmo’s northeast gate separating it from Cuba proper.